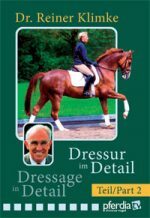 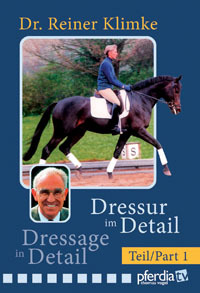 Dr. Reiner Klimke was one of the most successful dressage riders worldwide. 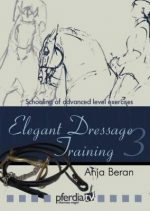 He trained his horses in accordance with the principles of classical equitation – and this is more than ever an up-to-date subject today! 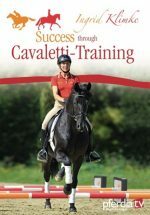 In this educational series, he shows how to cope with the daily problems in training horses to elementary level and how to solve these problems. 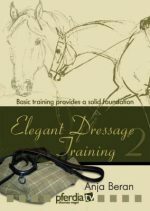 Everybody who aims to compete at this level will benefit from his films and will find valuable inspiration from his everyday training methods. 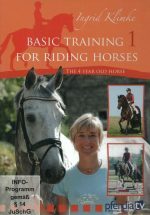 Volume 1: Training four to six year-old horses at the snaffle bit to elementary level: relaxation exercises, trot work up to elementary level exercises, halts, turn on the haunches and half-pirouette in walk.